When it comes to Montauk Hotels, a Wave Inn is the perfect place to unwind and participate in all that Montauk has to offer. Some prefer to relax by our enticing pool while others seek out the restaurants and shopping which awaits them in the greater Montauk area. Whichever you choose, you will have an enjoyable time. Our spacious guestrooms and suites afford you the luxury you deserve. Our entire property has recently been completely renovated. Whether you're joining us with your family or for a romantic getaway, we will do our best to ensure you a wonderful experience. A Wave Inn is recognized as one of the best Montauk Hotels and it can be found on a peninsula, amid the sparkling waters of Montauk. It greets you with panoramic views... the Beach, the Atlantic Ocean. It's the best of the coast, with ocean breezes, sailboats and golden sand beaches, encompassing the beauty of the Atlantic. Extraordinary in its depth and breadth, A Wave Inn customer service offers unparalleled responsiveness to your every need. Efficient, discreet and accommodating, our talented staff is at your disposal. That is why A Wave Inn is one of the mostly recommended Montauk Hotels! Why Stay In Monatuk Hotels? If you are planning a trip to New York than you have no doubt noticed that Montauk is a popular spot for tourists and you should look for the best Montauk Hotels. If you have never been then you may have trouble grasping just how beautiful of a place this truly is. Montauk has beaches that are among the most breathtaking in the entire world. The decision to stay in Montauk can be influenced quite easily be checking someone online reviews or vacation photos of the area. Monatuk hotels vary in price and are so abundant that there is likely to be one that suits every traveler's needs. Montauk Hotels are not all expensive! Checking for hotels in Montauk will have no doubt revealed some expensive luxury hotels, but not every hotel is expensive in the area. There are a number of small lodgings reminiscent of bed and breakfast establishments that will cost a fraction of those luxury accommodations. Of course if you have an unlimited budget for vacations you may want to stay in a more expensive hotel. If this is the case price will likely not be a factor. Instead you will want to look for the most opulent lodgings possible. With the beach and shoreline that surround Montauk it will not be hard to find some one of a kind luxury accommodations if price is no factor. The perfect time to stay in Montauk! The north eastern United States has very distinct seasons. The summers in New York can be sweltering and the winters have the propensity to be bitterly cold, but in all cases a lot of surfers look for the best Montauk Hotels. The perfect time to visit New York or Montauk is based on individual preferences. The summer is very nice and swimming can help combat the heat. But, the winter has a certain aesthetic appeal; especially for individuals from areas that do not usually get very cold. If you are visiting Montauk in the winter and come from some place like Florida you will be surprised not only by the harshness of the cold, but by the beauty that is a snow covered beach, which is something Florida will likely never see. Most businesses are closed during the harshest winter months. But, even the most mild winter may seem extreme to someone not used to the cold. So, be sure to check ahead to see what the weather will be like during the time of year you plan on visiting this part of New York. If you are doing research about vacationing or booking hotels you will have heard this phrase a number of times; Montauk Hotels. It is a truly important thing to give prior notice to booking a vacation if you want to pay the lowest possible price. There are a few months out of the year, the worst winter months, that most businesses are not open. Other than that the hotels in Montauk are pretty lively all year around. You can expect to pay quite a bit more for hotel stay during national holidays. This is because most everyone has those days or 2 day weekends off of work and wants to take a vacation. Why should you stay in Montauk Hotels? The answer is simple. They have some of the largest variety and best accommodations in the entire north eastern United States. If you want to go on a vacation in a scenic area than this is perfect for you. This is a good, relaxing place for a family getaway, or can even act as a good retreat for married couples from their busy day to say lives. If you are not sure about booking a vacation in this regions then check out some hotel reviews from other travelers. Hotel reviews are a great way to get the insight of other individuals like yourself and find out how staying in a particular lodging really was. It is a lot better than looking up reviews on a website owned by a hotel company. Many websites such as Yahoo and other travel based sites feature these types of feedback. This can be a great way to decide which place best meets your needs. This is a great way to make sure that you go into your vacation prepared. 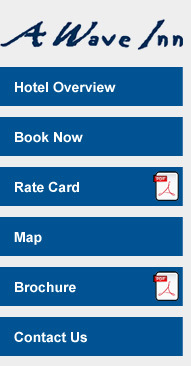 You can even get basic information on hotels such as their smoking policy and checkout times by using these resources. It is better to make sure a lodging has everything you need by researching in advance and taking the guess work out of it. This will help ensure that you enjoy your hotel as much as possible. Long Island, New York has a variety of fine establishments for vacationers to stay in and finding a hotel in Montauk is easy. The popular destination offers everything from intimate bed and breakfasts to lavish resorts. Each location has the best in amenities and luxurious rooms to make everyone staying in the area to feel comfortable. The cozy hamlet, located on the tip of Long Island, is a common spot for area tourists to gather during the summer months. The beach front village is large enough to offer fine eateries and resorts, yet it still offers that small town atmosphere that so many people enjoy. The destination is home to several state run parks, has fabulous fishing and is a great place for surfers to catch some waves. In addition, the area is home to the oldest lighthouse in the state. A must see for anyone who visits. Other activities to partake in while staying in Montauk Hotels include guided tours of the area's historic sites and walking along the beach. Shoppers will enjoy the wide variety of specialty shops run by the locals. Some of the items offered include fresh vegetables, home decor and handmade merchandise. In addition to fabulous shopping, the town also has an array of eateries that serve everything from fresh sea food that is caught daily, Mexican food and burgers for the kids. Fishing enthusiasts can charter a boat from the harbor and spend the day fishing. Summer time provides a wide range of fish including fluke and striped bass. Be sure to take a lunch as the tours generally last all day. This is also a great father and son activity. Families can take one of the area's famous whale watching tours from the harbor. The large whales are breath taking and it is a great educational experience for youngsters. In addition to seeing whales, dolphin and sharks are also commonly viewed during a trip. Several businesses in the marina offer tickets to these excursions. Many resorts also provide discount coupons at the front desk. The first thing any vacationer looks for is a place to stay and here where you should consider looking for Montauk Hotels. Montauk's visitors have a variety of choices. Whether it is a romantic weekend, or a family holiday, amazing accommodations are available. There are sea side resorts that offer magnificent views and even vacation homes that are available for a day or offer monthly rental options for those who wish to extend their stay. The possibilities are truly endless. Groups who wish to stay beach side will want to choose one of the many hotels that line the coast. Each destination provides visitors with a friendly and welcoming staff that is ready to fill the needs of those who visit. Some amenities that are included with each stay are in room coffee makers, fresh linens that are changed daily, free internet, flat screen television sets, premium cable and complimentary breakfasts to all guests. Additional services include laundry, children's activities and guided tours. Many rooms also come with full kitchens that include dishes, pots, pans, full size refrigerator and a dish washer. This provides families a great opportunity to sit down to a nice dinner and discuss all of the day's happenings or plan events for tomorrow. Beach houses are another option for larger groups when it comes to Montauk Hotels. The great thing about this type of accommodation is that it offers a home away from home. The cottages have full living rooms, large kitchens, up to four bed rooms and are fully furnished with everything from a television to a grill for cooking out. Most locations offer weekly or monthly rates and most allow pets. Go online or contact a local reality for more information. Couples who wish to have a more intimate vacation can choose from one of the many bed and breakfast resorts the area has to offer. Each spot is all inclusive providing homemade meals, picnic basket service for those who wish to enjoy the great outdoors and activities that everyone can enjoy. Rooms are luxurious and have large beds, full baths and comfortable linens. In addition, many locations have lush gardens for a duo to walk through in the evening under a brightly lit moon and star filled sky. Other activities that a couple may want to take part in include a sunset cruise on the harbor, which includes a romantic dinner or a walk along the beach. The view provides an atmosphere that definitely sparks romance. Vacationers can easily find a fabulous hotel in Montauk, New York. The region has several spots to choose from and each destination has the best in amenities. It is a great spot to have a memorable vacation. Places To Stay In Montauk, New York! While the mention of New York might bring visions of traffic and noise to mind, there are many places to stay in Montauk that will dispel these images. Montauk offers visitors the splendor of white sand and rolling waves. Tourists come here from within the state and around the world to unwind from the stress of daily life, to host special events, or to conduct business in an impressive setting. For example, settle associates into a wood-paneled board room furnished with ergonomic leather seats. Spread out in a wider room to host a seminar or training event. The ocean view might distract participants, but you can promise everyone they will be able to go golfing or horseback riding after work is done. Some resorts provide on-site golfing facilities, while others are just a short drive away from local courses. Men and women conducting business in this part of the state will often want to take a break from paperwork and computers to unwind. Those who prefer to burn-off their energy by playing an energetic sport will probably choose to stay at resort-style hotels that feature tennis and basketball courts. A number are also equipped with fitness rooms filled with high-quality elliptical trainers, upright bicycles, and treadmills. Most of these establishments provide use of a heated outdoor pool, but some also have an indoor pool with a hot tub. In fact, even budget motels often have outdoor pools surrounded by spacious decks and lounge chairs. The most magnificent style of accommodation will resembles a European palace and this is the common feature among Montauk Hotels. Rent a condo or apartment for a week in one of these spacious buildings and you will have enough space to bring your whole family without feeling cramped. High ceilings and elegant stone tile flooring will make you feel like you are visiting with royalty. Atmospheric effectively highlights thoughtful interior design. The grounds and architecture of some historic buildings where visitors can stay are worth exploring before guests even get outside to find out what activities Montauk has to offer. Numerous hotels, motels, inns, and resorts are located right across from the beach. Step outside and just wander over without breaking into a sweat. Visit the lighthouse and climb the stairs to enjoy a fabulous view out to sea. Dive into the bracing waters from your beach towel or soak-up some sun somewhere along an extensive strip of sand. Watch boats, ferries, and fishing charters bob on the waves while you contemplate your itinerary for the following day. Perhaps your schedule will include a day out on the water too and this is easy when you book a room in Montauk Hotels. Fishing charters are available so that visitors can try some deep-sea fishing. When they get back to a kitchenette or luxury apartment, these guests can cook their own supper knowing the fish was freshly caught just hours earlier. If you like to cycle and plan to bring bikes with you, certain hotels provide special storage areas to keep your bicycles safe. A number of facilities have been designed with families in mind. They have set-up playgrounds and offer use of indoor leisure equipment. Visitors can have fun on rainy days by playing foosball or ping-pong. It is common for all kinds of motels and inns to have picnic and BBQ areas where guests are welcome to grill their own supper. On the other hand, Montauk is home to numerous highly-rated dining establishments, some set within hotel grounds and serving elegant cuisine prepared by talented chefs. If your suite is fitted with a gourmet kitchen and all of the accessories you need to prepare a fancy meal, you might want to cook in this lavish setting while you have the opportunity. Enjoy a nourishing meal before going shopping for the day. Perhaps just peer into shop windows as you wander around Montauk Village. Another popular activity in this area is hiking among the dunes, though children might prefer to visit the skateboard park to get their thrills. Your budget will dictate what kind of accommodation you choose when you book a room in Montauk Hotels. Just about every facility provides customers with a color television, often a flat screen, showing cable channels and sometimes pay-per-view movies. Most offer en suite facilities and are cleaned daily by housekeepers while you go out to play. Air conditioning is frequently provided, while there could be cots available for families with infants in tow. For many people, a room is just a place to freshen-up before going out to see the sights and meet people. These people will discover that there are numerous economical places to stay in Montauk, while they enjoy the same scenery as visitors who paid to stay in a penthouse suite. At Montauk Hotels Surf Enthusiasts Have Many Options! By choosing to stay at Montauk hotels surf enthusiasts provide themselves with the perfect base from which to enjoy this area's many delights. Of course, surfing is not the only activity available to those who frequent the Long Island area, and a stay at any hotel in the region will quickly make that fact evident. In fact, there are so many things to do in this area that even the most die-hard surfer can be easily distracted. The Montauk area has been inhabited for many hundreds of years, but was first discovered by the European settlers around five hundred years ago. The region's natural beauty and proximity to the ocean have enabled it to become a popular spot for tourists from around the world. While it is often compared to other tourist destinations, most visitors will quickly realize that it is a unique place to visit. There are an abundance of Montauk Hotels, motels, inns, and other lodging options in this area, all of which help to provide a welcoming atmosphere for any visitor. During the busy season which lasts from around June to September, the region can often be quite crowded with surfers, tourists, and other visitors who have come to see the many sites and experience the fresh ocean air. For those who want to plan a trip to the area, it can be helpful to book the appropriate lodging well in advance of any visit. There are some very specific choices to be made, most of which will be determined by the precise area in which any visitor wants to stay. Besides the Village itself, visitors can choose to stay at any hotel or motel near the Harbor, the Lake, along the highway, or at a number of other nearby locations. Those who make frequent trips to the area often find it much easier to simply purchase a timeshare on the island or book a room for long time in Montauk Hotels. Often times, this option is chosen by those who come back each year to enjoy the surfing and other activities in the region. These purchases can sometimes save individuals and families thousands of dollars over the course of several years. For most visitors, the lighthouse museum is something that should not be missed. First commissioned by the nation's first President, this historic lighthouse has served as a beacon for the Coast Guard that saved many lives down through the years. It is now a museum that plays hosts to millions of visitors each and every year. Visitors can also visit the region's many parks and its even more numerous beaches. Parks make up more than sixty percent of the land in the region, and contain an elaborate trail system suitable for family hikes and long walks. At the harbor, there are cruises that can take travelers out to sites where they can watch the whales and dolphins play. Besides hiking and whale-watching, visitors can enjoy a variety of other exciting activities when they live in Montauk Hotels. There are vineyards to visit, ferries to ride, and fishing boats that offer the best big-game fishing anywhere. There is also Montauk Downs, which is well-renowned in golfing circles as being among the nation's top courses. Outdoor enthusiasts will appreciate all of the many and varied activities available to them. There are also many water sports available, as one would expect from a village located on the ocean. Many visitors travel to the island to scuba dive, and there is even a wrecked ship that can be visited this way. Other visitors enjoy the opportunity to sail or to spend a lazy afternoon kayaking on one of the island's ponds or on Lake Montauk. Of course, for surfers, nothing beat the waves that can be experienced on this ocean and that is why 100s are surfing the internet to look for Montauk Hotels. These waves continue to impress new arrivals each year, and most surfers feel right at home in the Montauk area. In fact, the entire region has adopted the surfer culture, and many locations are designed around the surfing theme. Even newcomers to the sport should feel right at home, as the region boasts training courses for surfers of all skill levels. No one who visits the area should ever have cause for even a single dull moment. There are so many sights to see and so many things to do that many visitors make this region their annual vacation destination. And with all of these activities awaiting those who seek lodging at Montauk hotels surf fans can certainly be excused if they find themselves spending less time on the waves than they might have originally planned. Montauk Motels On The Beach! If you want to see the ocean from your window and walk to a strip of sand from the lobby, look for Montauk motels on the beach. There are many to choose from. Most of these are just a short walk from sea, while others are a few steps away from the water. Motels are often the preferred choice of accommodation for economy-minded travelers. They have no desire to pay for the privilege of sleeping under designer duvets or examining fashionable furnishings. They just want a place to sleep. Besides, the view outside is what they came to see. By saving a bit of money on their accommodation, they are able to spend it on other activities the children will always remember. For example, horseback riding in the dunes is something the kids will tell their friends about when they return to school after their summer vacation and the nice time they had in Montauk Hotels. Spending a day out at sea with mom and dad on a fishing boat could also be exciting, especially if someone catches a big fish. Charters piloted by experienced captains are available for hire at various locations and they provide safety equipment for everyone on-board. Plenty of avid fishermen and women will also cast a line straight from the rocks. There are plenty of rocky areas, so finding a quiet spot to fish from should be simple. Moreover, if your children are fascinated by sea creatures, bring them to the rocks so they can explore the little pools that form when the tide goes out. Older children might prefer to try surfing off of the beach, a popular pastime for many visitors to establishments in and near Montauk. A motel in the area will often have a pool and this is also the case for all Montauk Hotels. Although it is usually an outdoor pool, open only for a certain number of months each year, kids often refuse to feel the cold and will happily swim no matter what the weather is doing outside. They just want to splash while their parents relax on reclining deck chairs. At least one motel has had an elegant rock pool and water fountain installed within their grounds, providing a serene environment in which to read or snooze. Several motels as well as Montauk Hotels will advertise package deals which customers can book in advance, so check-out their websites before arranging a trip. Plan for an entire group of friends to visit New York at the same time and have everyone stay at the same motel where they might be eligible for a group discount. Spend a weekend playing golf or going fishing together. Even if there is not a spa on-site offering massages and facials, there are lots of spas to visit in the area. Arrange for mom to be pampered while dad takes the kids hiking in the dunes. Drive to the nearby Hamptons to get some ideas about how you would like to live when you retire. Take a walk from your room or drive a short way until you find the public tennis courts where everyone is able to play a round or two of tennis with friends. There is also a movie theater in town, so if your television does not play pay-per-view movies, catch a current release at the cinema. While most motels are very simple, some come with extra facilities and this is the case too for Montauk Hotels. There are tennis courts at certain locations. Others provide BBQ and picnic facilities plus free access to Wi-Fi. One even offers guests the chance to take yoga classes. Some businesses give visitors high-class facilities at lower prices than they would pay if they booked a room at a trendy resort. While rooms are usually located within the main building of a motel, other establishments are arranged differently. They situate guests in individual cottages. If you have ever heard people in an adjoining hotel room playing music or snoring in the night, you know how pleasant it can be to sleep in a detached dwelling. Customers will be surrounded by a well-maintained lawn and may be designed with have wrap-around porches where a couple can sit outside and watch the stars. Montauk motels as well as Montauk Hotels on the beach are often just as attractive as some of the higher-priced hotels in the area. A housekeeper will tidy and clean your room every day. The interior is light and airy, sometimes with a sliding patio door that gives visitors immediate access to the grounds. En suite bathrooms are also provided as a standard feature. Guests can arrange to have full kitchen facilities if they want to pay a little bit more. This convenient feature, however, will also save customers the money they would have spent going out for meals every day.